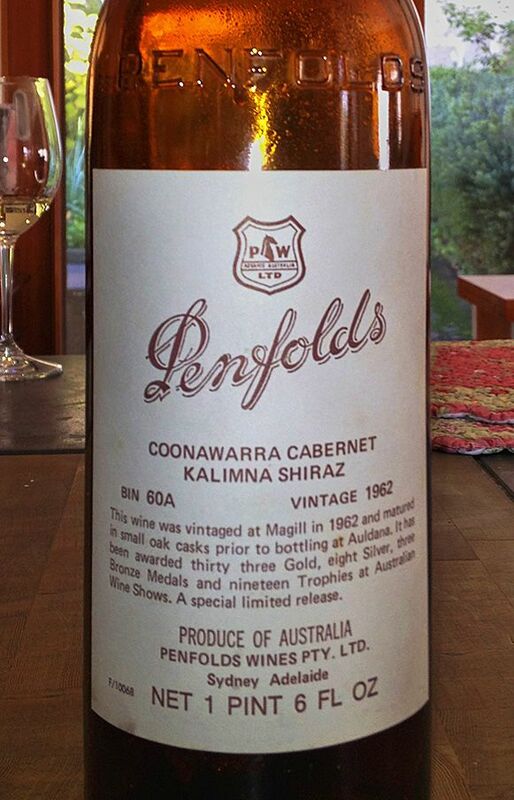 Xavier Bizot once said in an interview that the finest wine he had ever tasted was an Australian wine, a bottle of Penfolds 1962 Bin 60A. 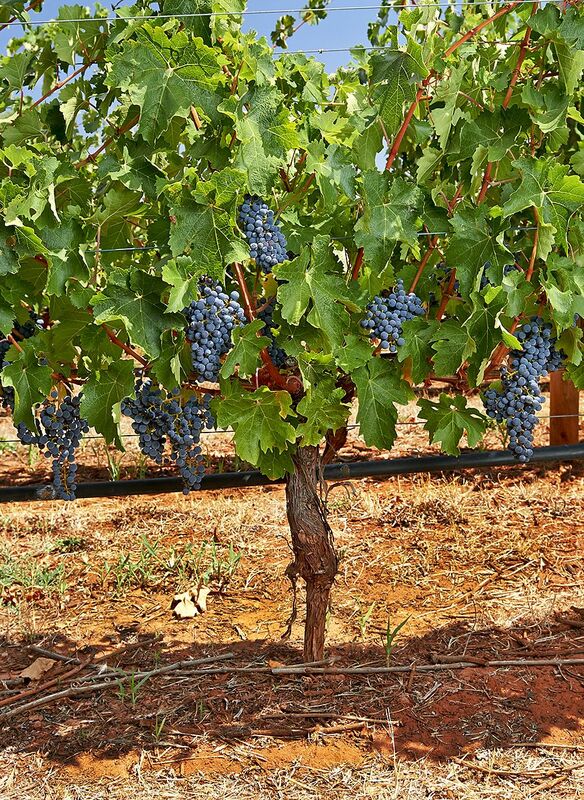 This interested me as many of my favourite Australian wines are cabernet shiraz blends. The 1962 BIN 60A Xavier shared with Brian, Ann and Andrew Jefford. 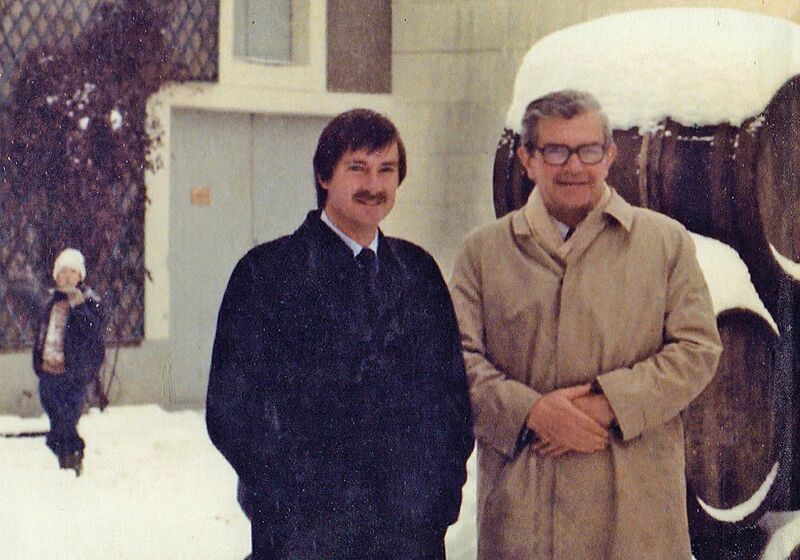 Brian Croser and Christian Bizot in the Courtyard of Bollinger on Brian’s first visit to Champagne in December 1983, a young Xavier in the background. 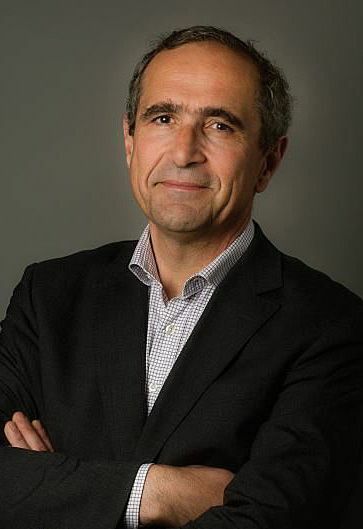 Etienne Bizot, Société Jacques Bollinger chairman : Photo courtesy The Drinks Business. 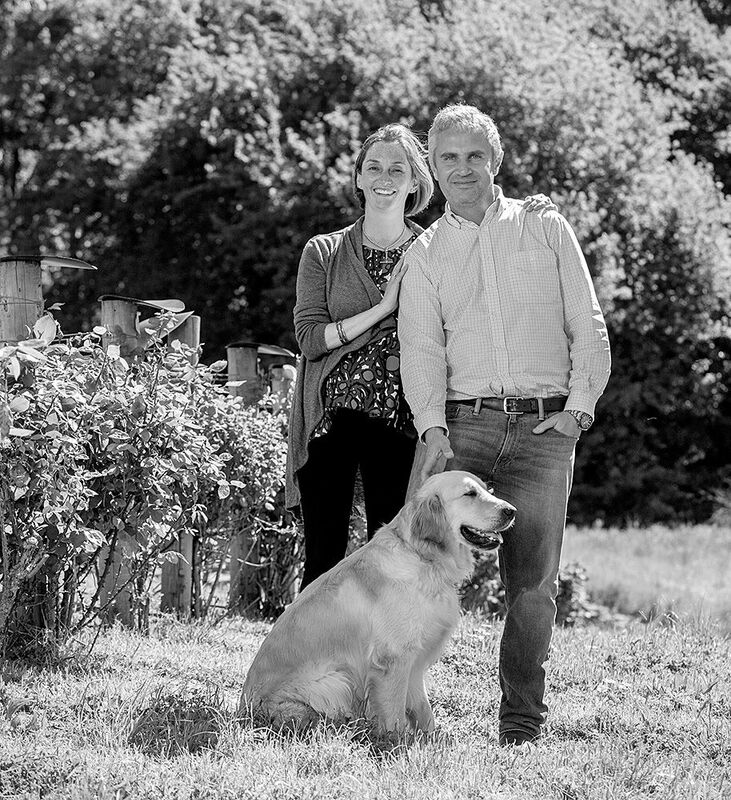 Lucy and Xavier in the Tiers Vineyard : Photo © Ben Macmahon. 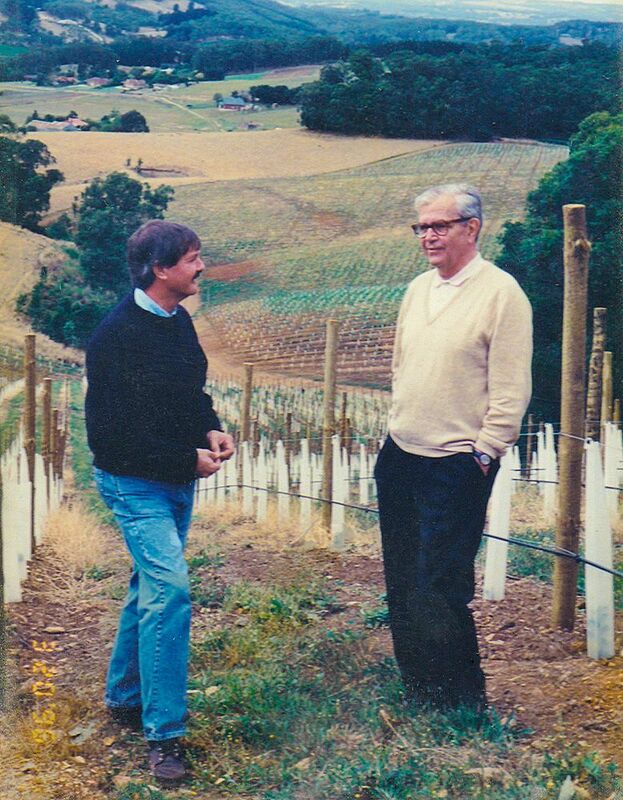 Brian Croser and Christian Bizot in the then newly planted Bizot Vineyard in the Piccadilly Valley, 1996. Lucy and Xavier’s Crayères cabernet sauvignon vineyard over the road from the Whalebone Vineyard : Photo © Milton Wordley. 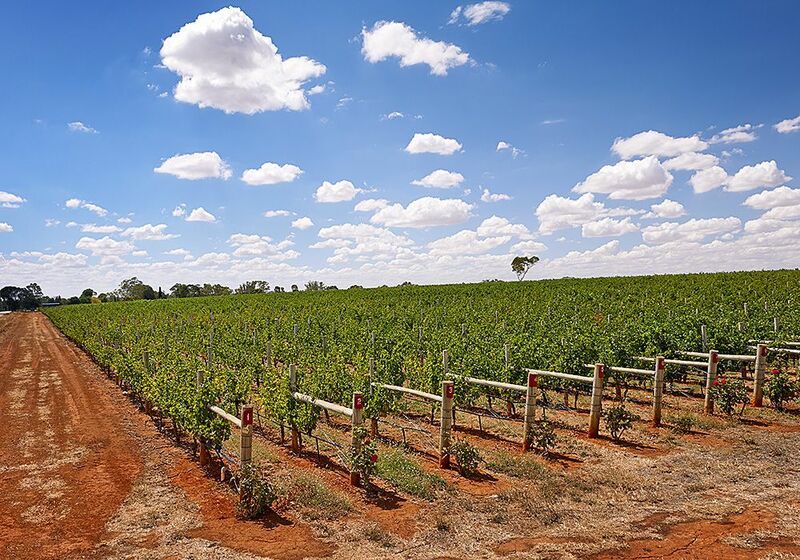 Crayères vineyard, red soils for red wines : Photo © Milton Worldey. 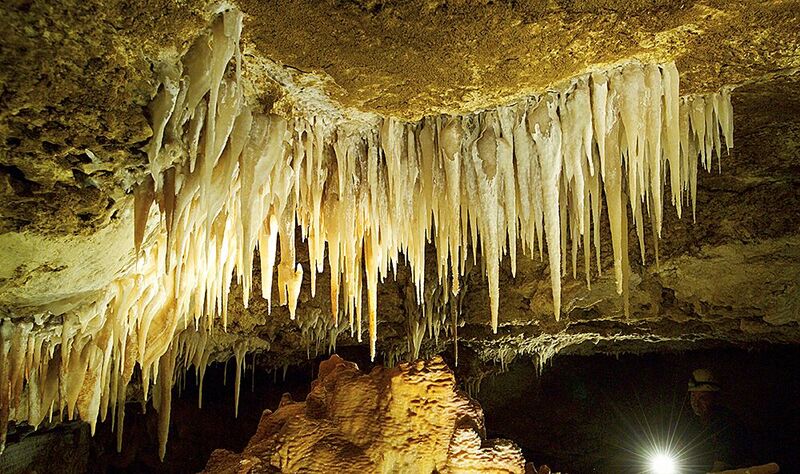 The cave under Crayères Vineyard and Whalebone Vineyard in Wrattonbully : Photo © Milton Wordley. Hand picking sauvignon blanc in closed spaced 1.5 x 1.5m Crayères Vineyard Sauvignon Blanc in 2016 : Drone Photo © Xavier Bizot. 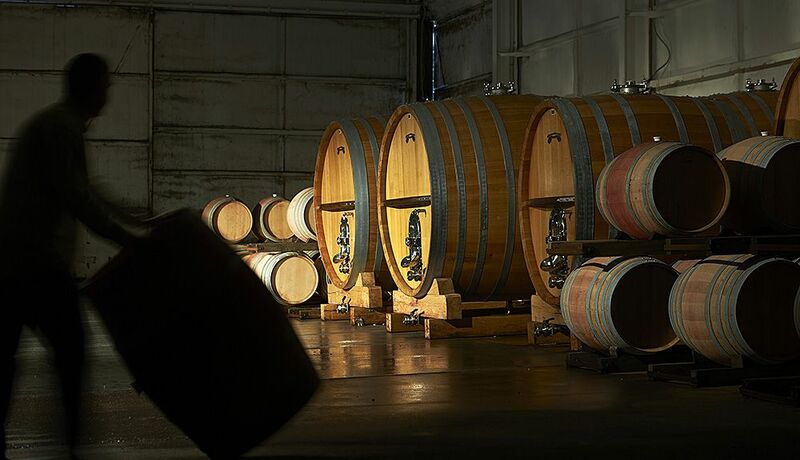 The Tapannappa and Terre à Terre winery, large oak foudres and demi muids etc etc : Photo © Milton Wordley. Brian, Xavier and Lucy in the winery : Photo © Milton Wordley. 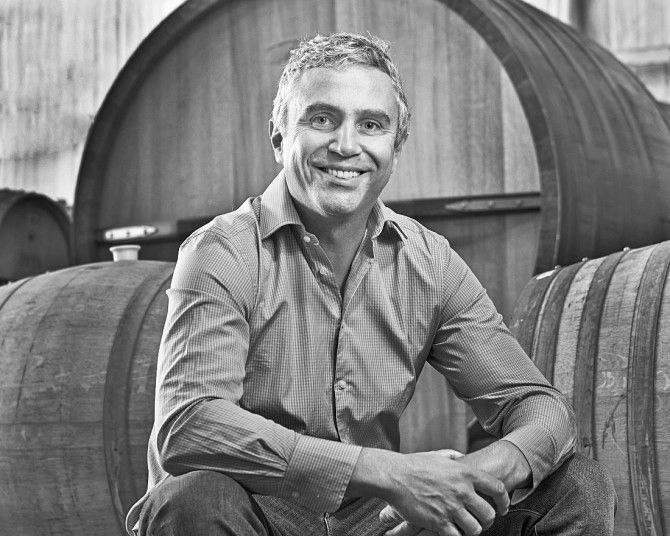 A very happy Xavier during the Wrattonbully sauvignon blanc vineyard 2013 harvest : Photo © Milton Wordley. Terre à Terre Sauvignon Blanc : Photo © Simon Vaughan. 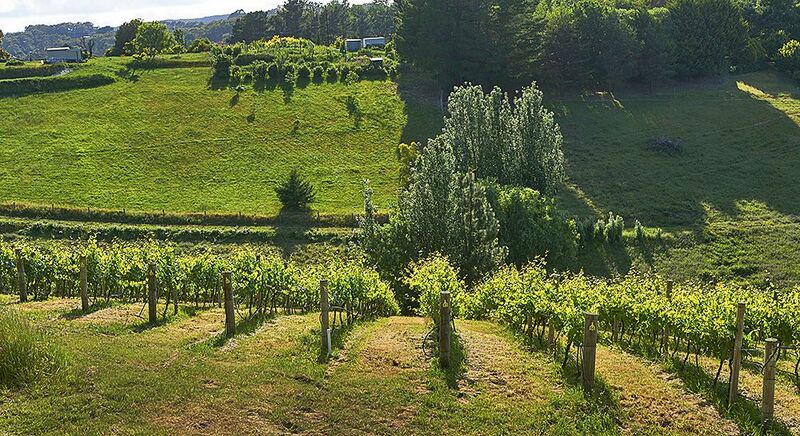 The Summertown pinot vineyard : Photo © Milton Wordley. Stephen George, Ashton Hills. Photo courtesy Ashton Hills. The Foggy Hill vineyard : Photo © Milton Wordley. 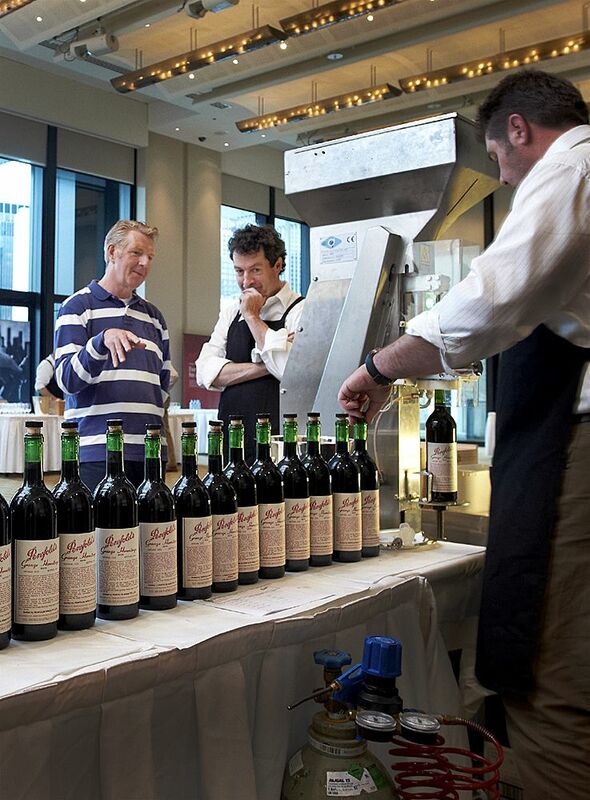 Peter Gago leads a Melbourne re-corking clinic : Photo © Milton Wordley. 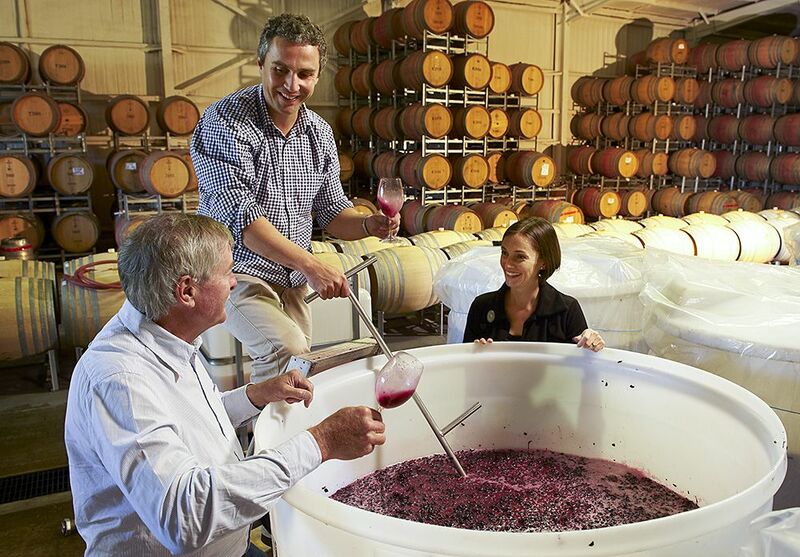 The Yalumba winemaking team behind the ‘Caley’ : Photo © Milton Wordley. A blend of blends. 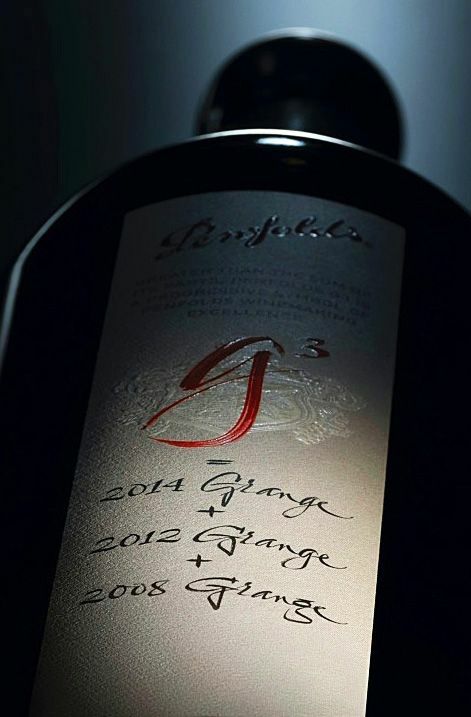 A world class wine Penfolds g3 : Image supplied by Penfolds. Brian Croser’s Tiers vineyard. 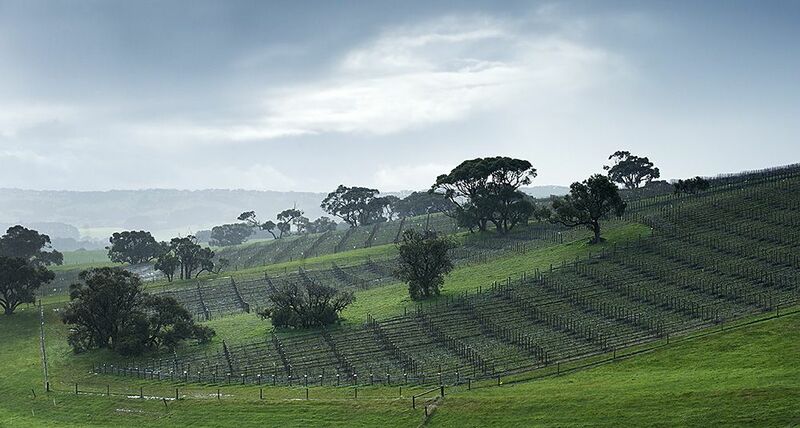 Planted in 1979, Tiers is a “distinguished site” as the first vineyard planted in the Adelaide Hills. 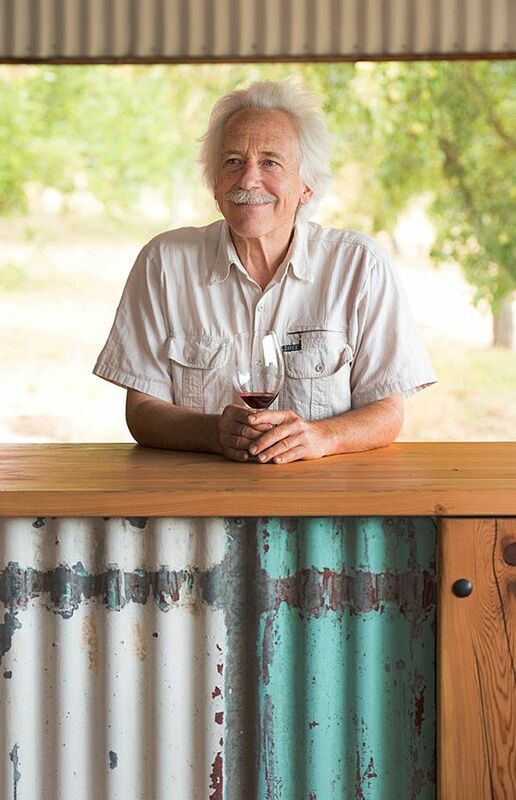 One of the only vineyards to have two wines made from it : Tapanappa and Petaluma ‘Tiers Chardonnay’ : Photo © Milton Wordley. 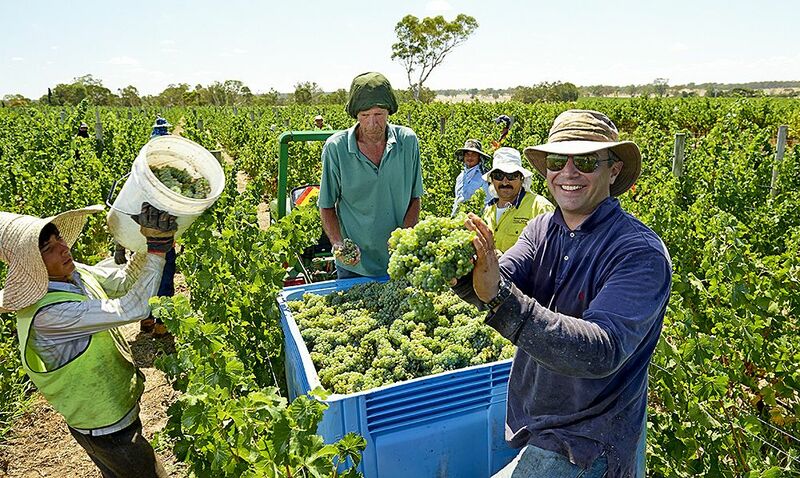 The right people in the right place, with the right vines, all in the name of crafting those fine wines that make our human lives so much better. 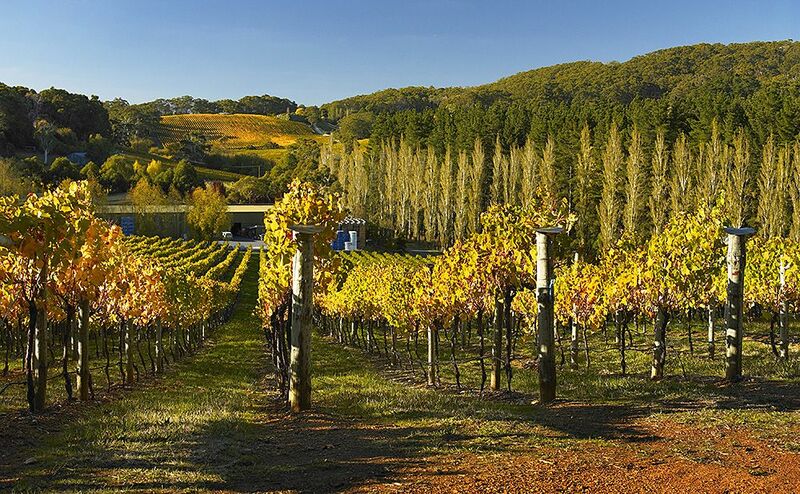 ← Previous Post: Phillip Broderick : Basket Range Wine.